May is officially National Pet Month — which means it’s the perfect time to show off your infatuation with the feline form. 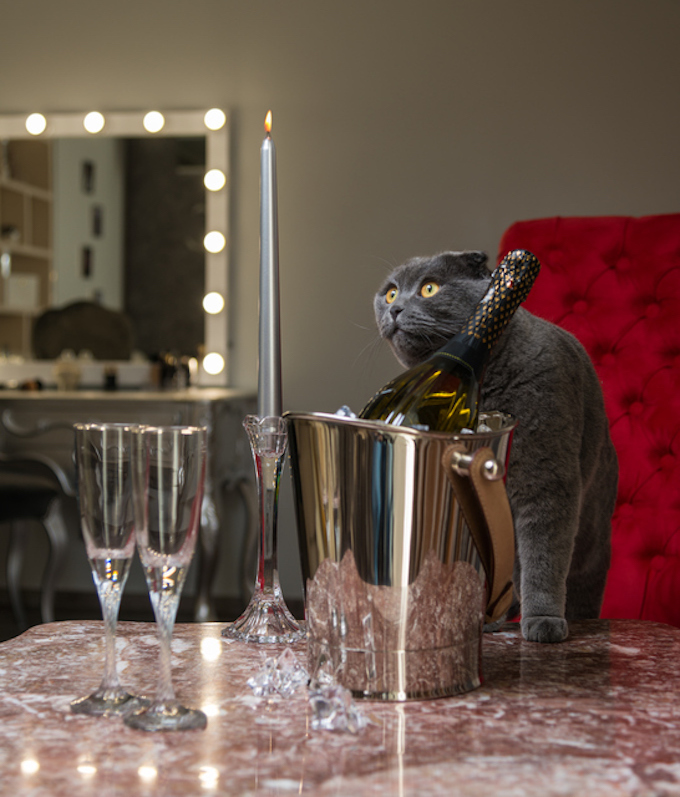 Here’s how to max out your cat credentials by celebrating at home and throwing the ultimate kitty-themed party. First things first: Any good soiree needs good libations. 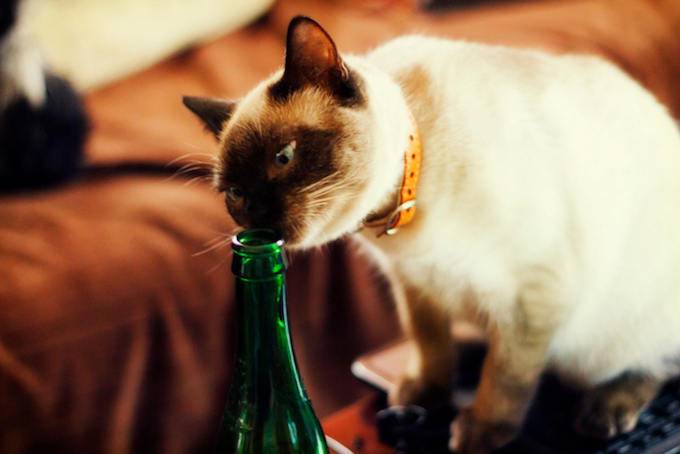 Luckily, the wine and beer worlds are all about cats these days. If you’re into craft beers, then you can hit up the Cats On Tap Instagram account to browse a comprehensive list of breweries that have released cat-themed and cat-inspired beers. If wine is more your tipple of choice, be happy that cat wine is definitely a thing too — who could resist a brand of Riesling that features cartoon cats on the label? Also, make sure to pour out a little non-alcoholic cat wine for your own kitty. A Catbernet should do the trick. Next up, you’ll want to serve a smorgasbord of cat-themed party snacks. Beyond baking feline-shaped cookies, cat cookie cutters can also be used to turn whole tortillas into a bowl of kitty-shaped tortilla chips. 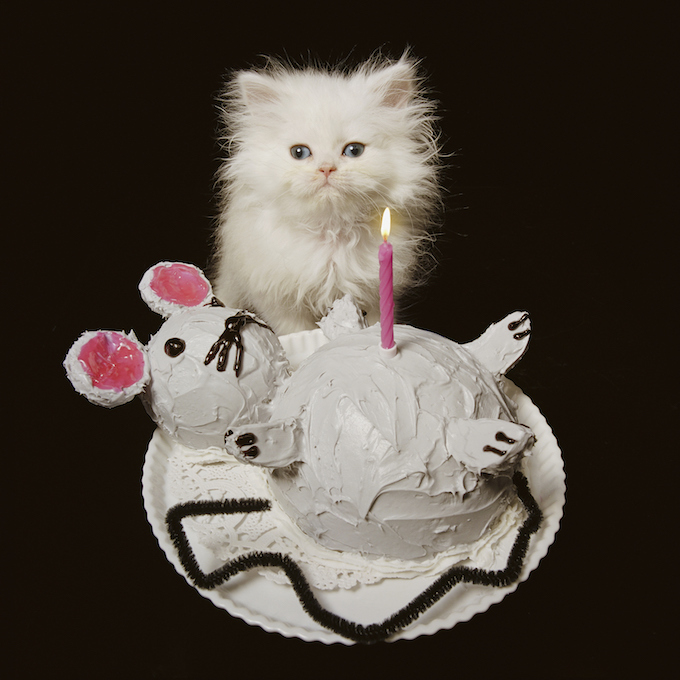 A professional cat cake rounds out the spread. Naturally, you’ll also want to rustle up a batch of treats for your cat — tuna cookies, anyone? Songs that are alleged to appeal to cats exist — but for an upbeat party you’ll want to skip over those and line up a playlist full of tracks by confirmed cat fanatics. Taylor Swift, Katy Perry, Ed Sheeran, Kesha and Bethany Cosentino’s band Best Coast are all besotted with kitties, so start your soundtrack there. Finally, it’s important to enforce a strict cat-themed dress code for your National Pet Month party. 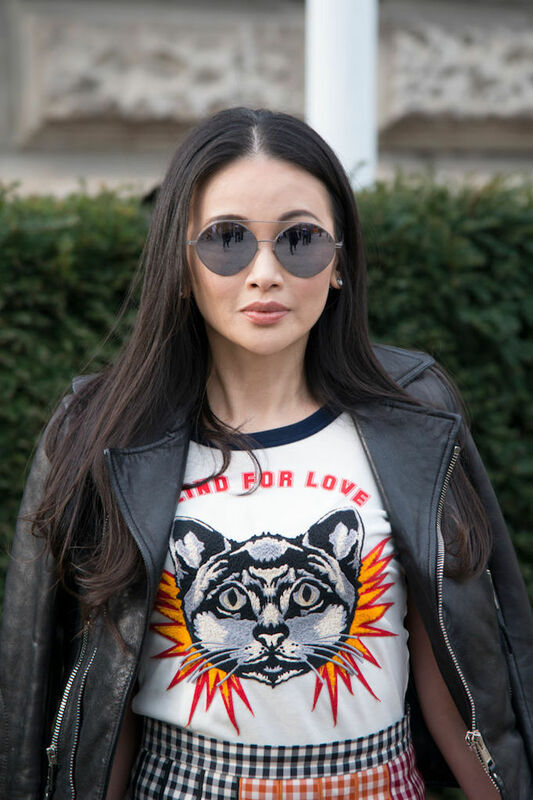 Take your pick from cat-themed t-shirts, cat’s eye glasses, all-over big cat print accessories, and those ubiquitous cat ears. Dressing up your actual cat is optional, depending on her tolerance for such foppish fancies. How will you be celebrating National Pet Month?